Courtesy of Global Swim Series, Patras, Greece. 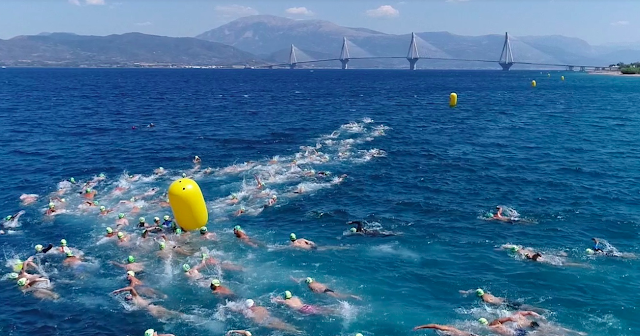 The Bridge Experience is a 1 km, 3 km and 5 km open water swimming event held near the 2.9 km Rion-Antirrio suspension bridge, the largest of its kind in the world. The event, held in Patras, Greece on June 2nd is around the Rion-Antirrio Bridge which connects Rio on the Peloponnese Peninsula to Antirrio on the Greek mainland.